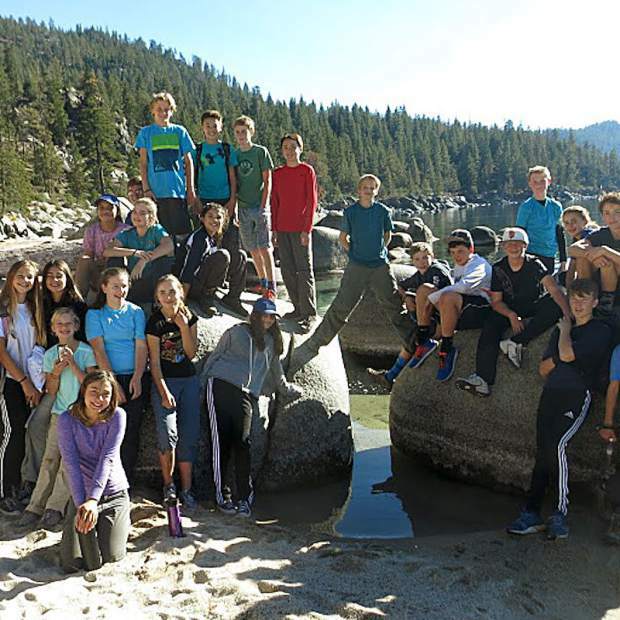 Lake Tahoe School students took to Chimnehy Beach in November with a mission focused primarily on leaving a place better than you found it. As many are aware, Tuesday, Nov. 8, was Election Day. That means that many schools in Washoe County were closed for the day. Lake Tahoe School, however, decided to take advantage of Election Day festivities by taking its middle school students — including me — to Chimney Beach for an outdoor education field trip. The trip spanned approximately six hours and focused primarily on leaving a place better than you found it. On the trip, students rotated through four stations: one focused on building a shelter; one that revolved around the planting Sugar Pine trees and identifying other trees native to the Tahoe Basin; a station dedicated to cooking; and one with the main goal of constructing makeshift stoves out of cans. 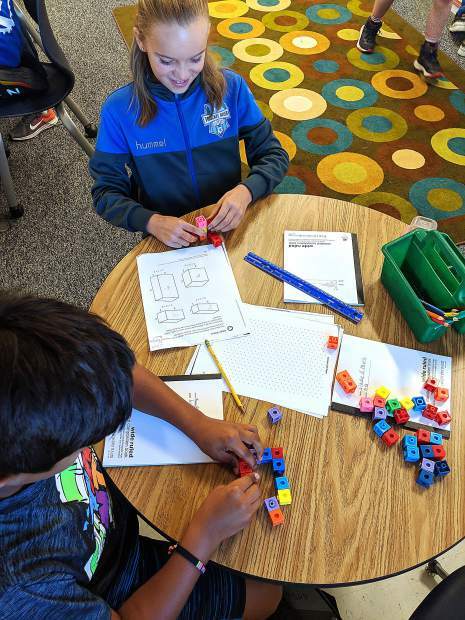 My peers and I were challenged to use our possessed knowledge and morals to create a better environment on Chimney Beach, and our teachers invited us to spread our newfound philosophy to others around Lake Tahoe. First, we arrived to school in a humdrum fashion and left within thirty minutes of our arrival. Once we arrived at Chimney Beach, we hiked to the lake and were split into our assigned groups. I was initially sorted into a group dedicated to the assembly of a shelter in the event of an emergency. In addition to leaving a place better than how we found it, the purpose of the trip was to improve our understanding of the natural world around us and to add to our previous knowledge of outdoor skills. We were given fifteen minutes to construct a shelter. The shelter needed to include insulation, a roof, a form of support, and enough space to protect the body of a full-grown person. While we all rushed here and there to obtain as many sticks, pine needles, and branches as possible, we learned that we needed “five times more pine needles” than we had placed in the shelter. Many groups dismantled their shelters, to make that plot of land a better place to build another fort. The second group centered predominantly on the planting and recognition of trees in the Tahoe Basin. Each member in the class was given a seedling and cautionary information that applied applied to the planting location of the trees. Trees directly affect the amount of erosion running off into the lake, improve conditions of the air, and ameliorate the aesthetic factor of an environment. Therefore, planting trees does make a place better than you found it. The third period I took part in instructed its students on the art of cooking on a beach. Before we were set free to cook, we were given instructions on the making of bannock bread and grilled-cheese, and a warning: don’t get the plastic bag too close to the pan (needless to say, I quickly forgot about the warning and burned a hole straight through the plastic bag I was given). My group was tasked to make a grilled-cheese sandwich for not only each person in our group, but one for each of the teachers who accompanied us on the trip as well. Our final session enlightened us on the topic of building a portable stove, maintaining a fire in the aforementioned stove, and making hot beverages via improvised stove. We found the construction of stoves much harder than we originally anticipated, yet we managed to build a stove that brewed hot beverages successfully. While the field trip we took part in had many lessons revolving around teaching teenagers to clean up after themselves and plant new trees, the idea of leaving a place better than you found it can be applied to everyday life. Whether it be metaphorical or physical, you can always find a way to leave a place better than how you found it. Kenna Bacon-Mirzayan is a Lake Tahoe School student and secretary of the LTS Student Council.